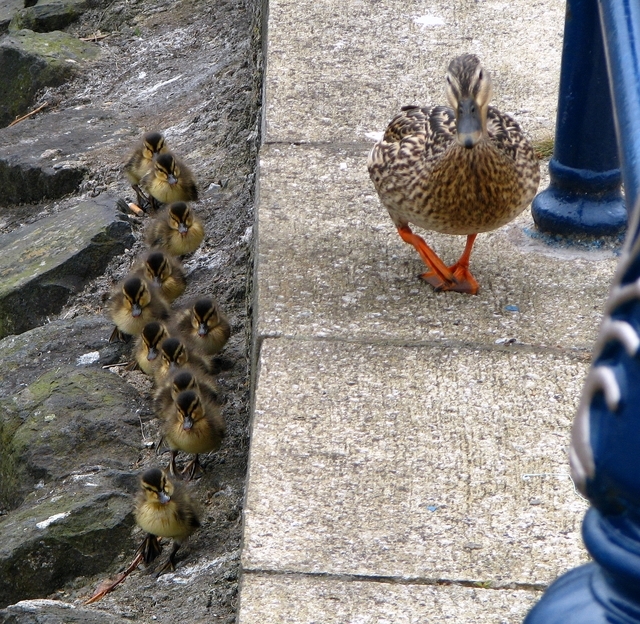 Female mallard and her eleven ducklings in Bangor. Seen near the marina, the mother was trying to get the ducklings to jump up to where she was walking. Sadly the height up to the paving stones from the rocks was about 20cm, which was a little too high for the ducklings to leap. Mother eventually gave up and they returned down to the waters of the marina - see J5081 : Mallard and ducklings, Bangor .